Hrs: OPR 1300-2200Z++ MON-FRI EXC FEDERAL HOL AND BY NOTAM. APCH/DEP CNTL PRVDD POTOMAC TRACON 127.2/281.47 (0400-1200Z MON-FRI, 2300-1300Z SAT-SUN. OTHER TIMES BY NOTAM.) WHEN PATUXENT APCH CTL CLOSED. A110-1 EXTENSIVE RESEARCH TEST DEVELOPMENT IN PROGRESS. A110-11 MILITARY TURBOPROP TRAINING DAILY UNTIL 2300L. A110-13 FCLP EQUIPMENT DIRECTLY ADJACENT TO LEFT SIDE OF RY 10 1335-1725 FT FM APPROACH END. 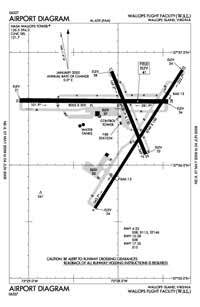 FCLP EQUIPMENT DIRECTLY ADJACENT TO LEFT SIDE OF RWY 28 1340-1725 FT FM APPROACH END. A110-14 TOUCH AND GO LNDGS NA WHEN ATCT CLSD. A110-15 RWY 17/35 CLSD WHEN ATCT CLSD. A110-16 WHEN ATCT CLSD, 126.5 CTAF ONLY. EXPC NO RESP OR ADZY SVCS. A110-17 E-28 ARRESTING GEAR 1500 FT FM THE NORTH END OF RY 22 IS RIGGED/IN BATTERY. A110-18 PPR 24 HR PN TO LDG, PHONE 757-824-1688. A110-19 FOR CD WHEN NHK ATCT/APCH ARE CLSD CTC POTOMAC APCH AT 866-640-4124. A110-20 DEER & BIRDS ON AND INVOF ARPT. A110-3 NUMEROUS RADAR FACILITIES AT ARPT WITH POSSIBLE RADIO FREQUENCY HAZARD TO ORDNANCE. A52-22 166' HIGH RADAR DISH 800' RGT OF APCH 22. A52-28 510' CATV TWR 4MI OFF APCH RY 28. A81-BCN FOR ROTG BCN CALL CTAF. E100 UHF CTAF - 306.975.